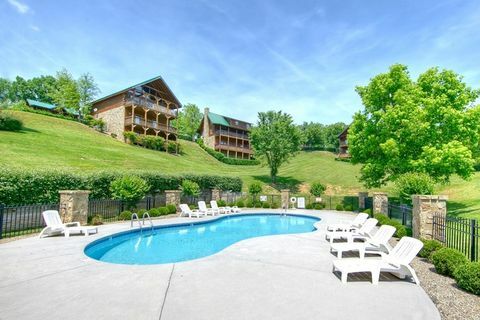 Stay at our Smoky Mountains cabin rental, "Poolside Cabin." 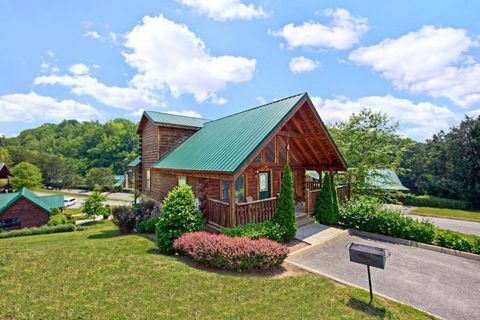 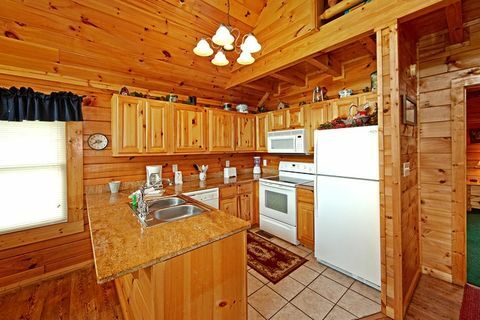 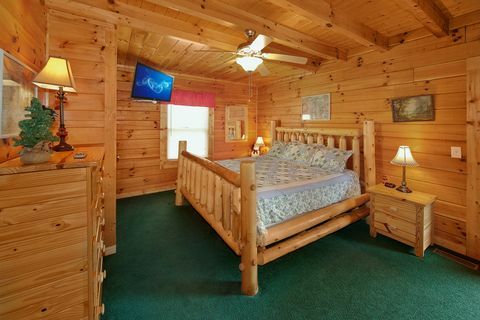 This beautiful Smoky Mountain 2-bedroom cabin with swimming pool access near Dollywood and just minutes from downtown action packed Pigeon Forge! 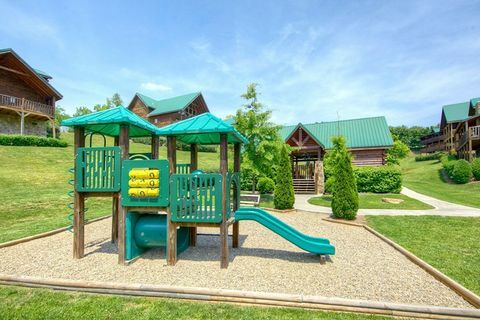 Located in Cabins at the Crossing Resort, your family can enjoy the resort swimming pool throughout the summer with clubhouse, tables, chairs, free poolside WiFi Internet access and nearby children's playground. 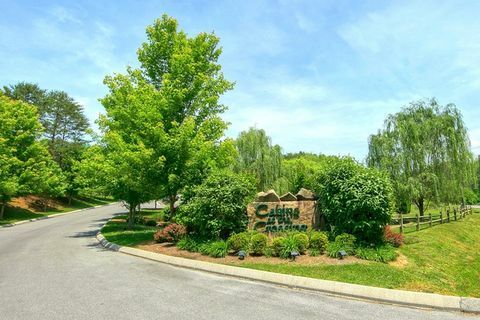 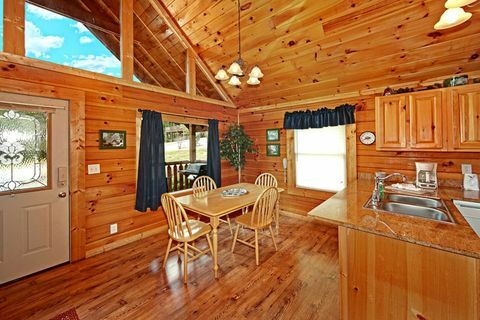 This family friendly resort cabin community offers wide paved roads, off street parking, and elegant landscaped settings. 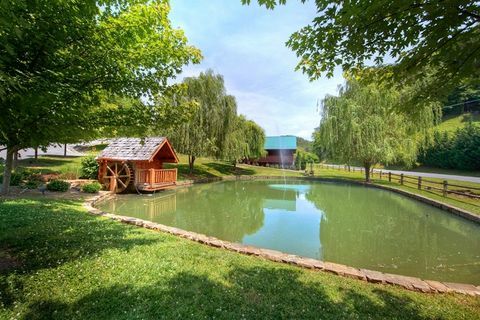 As you enter this resort near Pigeon Forge, you'll pass the fishing pond with its own water wheel house – the perfect spot for some very nice family or group photos. 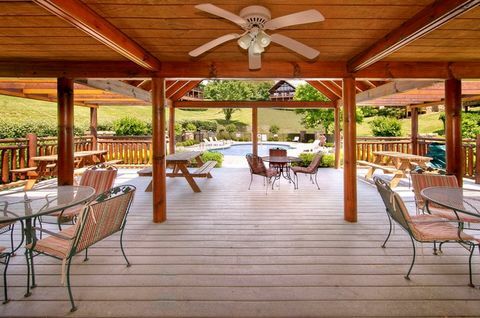 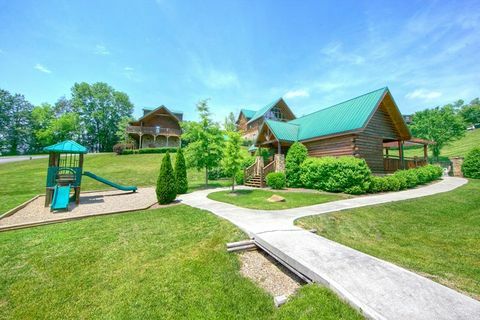 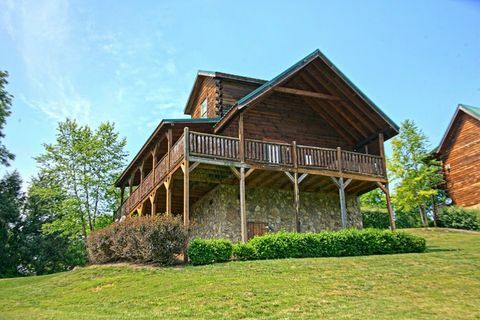 "Poolside Cabin" is more than just a Smoky Mountain cabin with swimming pool access, it’s a charming log home minutes from Dollywood Theme Park and endless attractions, restaurants, live stage shows, and more in Pigeon Forge. 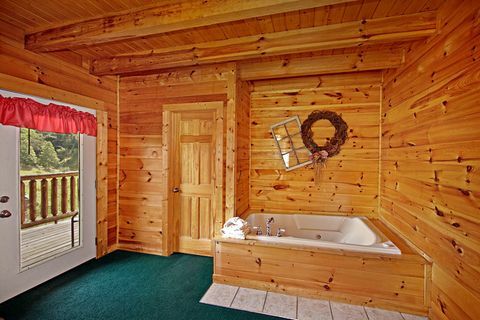 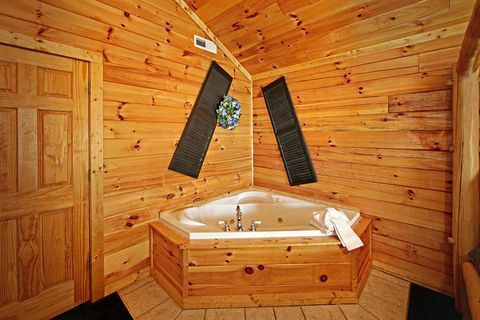 When you not out exploring, your Smoky Mountains cabin rental boasts two spacious king suites, each with their very own in-room jacuzzi tub, and television. 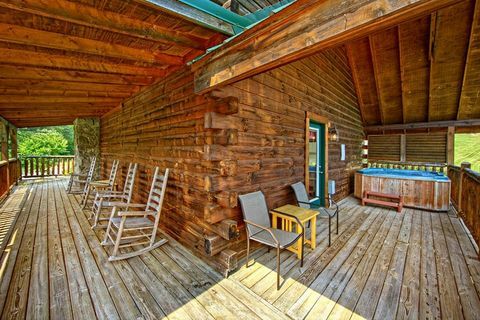 Family and friends can enjoy the hot tub on the covered porch throughout the year, and, during winter, family members can watch movies next to the glow of the cabin’s fireplace. 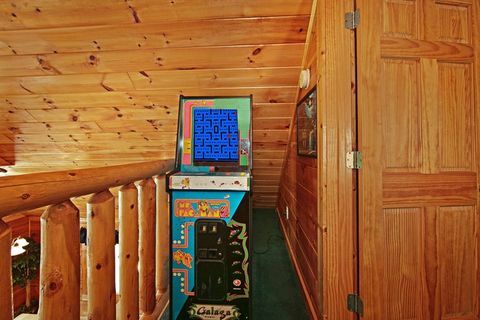 A vintage Ms Pac Man arcade game will keep the children occupied while dinner cooks in the fully equipped kitchen or on the gas grill. 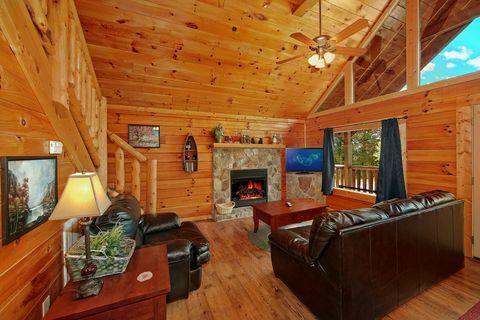 Whether you're just looking for the perfect Smoky Mountains cabin rental with easy access to all things fun or a quiet relaxing Smoky Mountain 2-bedroom cabin getaway in a resort setting, "Poolside Cabin" offers the ideal cabin vacation accommodations for your family getaway. 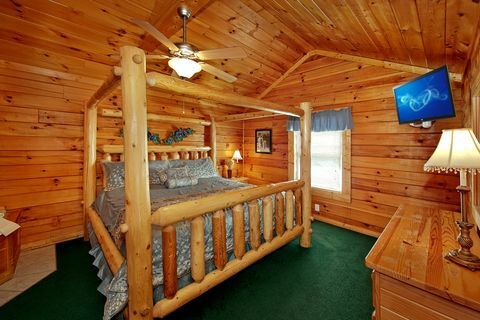 Need to accommodate more guests for your vacation? 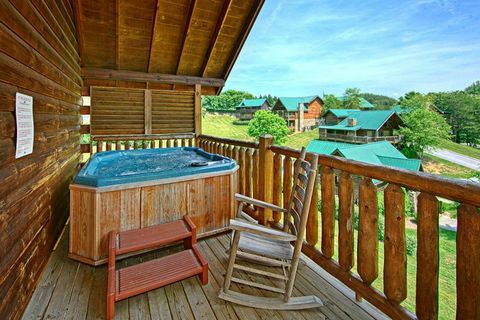 Cabins USA also offers a nearby 7 bedroom cabin called "Poolside Lodge" that can be booked alongside "Poolside Cabin" for an unforgettable multi-cabin vacation! 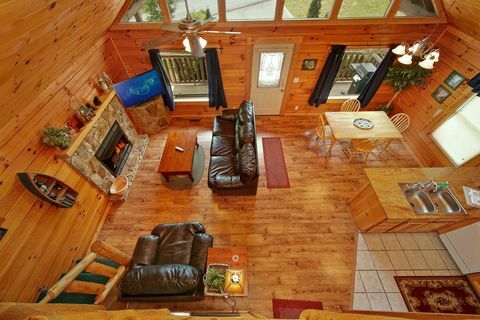 Book "Poolside Cabin" or another Smoky Mountain cabin rental online for your immediate Online Cabin Discount!